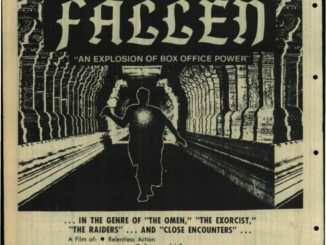 In our ongoing research into Untold Horror, we have uncovered a variety of projects which for better or worse went unrealized. Many of them only exist in pitch material artwork if nothing else. This ongoing series, entitled “Unknown Untold”, will shine a light on artwork for movies that never existed beyond what is seen on the page. If you have any further knowledge of any of the images posted, please let us know! Harry Houdini, the master trickster. Aleister Crowley, the student of Satan. An incredible adventure with the fate of an empire hanging in the balance. 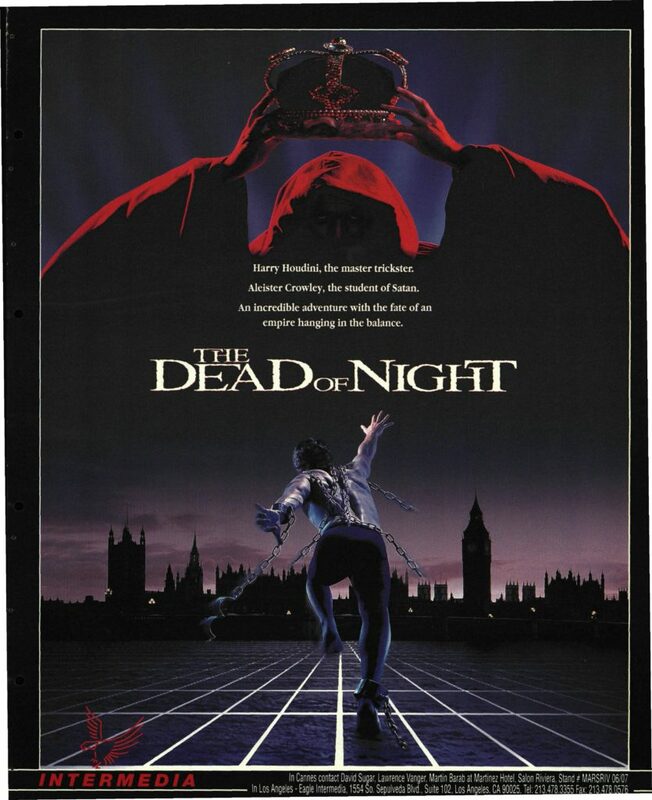 … and so reads the incredibly evocative advertisement from a May 1990 issue of Variety, taken out by Eagle Intermedia (apparently made up of producers David Sugar, Lawrence Vanger, and Martin Barab), for the never made The Dead of Night. No writer, nor director is listed. If a picture is worth a thousand words – then I can’t be the only one who really, really wants to see this movie! Harry Houdini, action hero battling the demonic Aleister Crowley! And if that wasn’t enough, it appears as though Crowley (or maybe even Satan himself) could soon be wearing the crown jewels, and ruling over the empire. These great Variety advertisements while heartbreaking in the sense we’ll never get to see the promised excitement on screen, certainly also let the mind race with possibilities. I mean, let’s just imagine a 1990 Sylvester Stallone, fresh off of a decade of Rambo and Rocky sequels, taking a page out of Arnold Schwarzenegger’s Predator playbook, and takes his action hero chops into horror territory. And Crowley… One can only imagine all the different choices of who could have stepped into the role of The Wickedest Man Alive. The possibilities are endless! 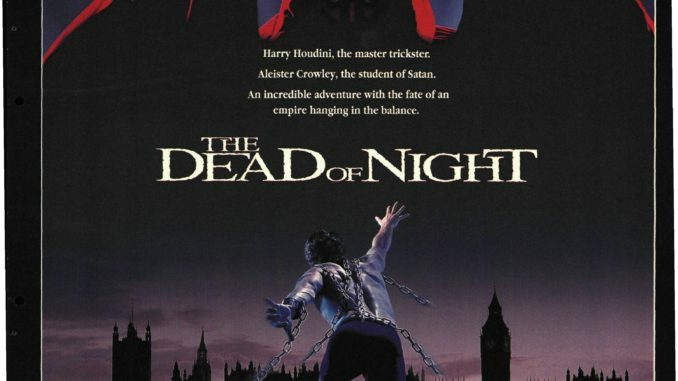 Imagine Dracula himself, Christopher Lee stepping into the role? Or perhaps Anthony Hopkins, a year away from becoming Hannibal Lecter, goes all out as the The Beast? Realistically, I am doubting that this picture would have had the means to go as big as, or deliver what the poster promised… However, that’s the fun of looking at these rarely seen posters and pieces of promotional art. …And if God’s busy, Houdini’s on it.